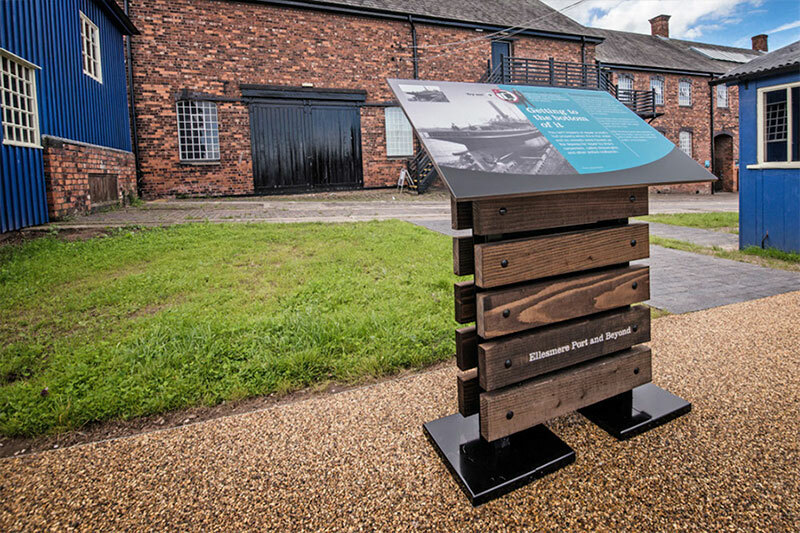 In February 2016 Benson Signs were approached by visitor experience and heritage branding specialists We Are Bright and asked to submit costings for a substantial package of signage at the National Waterways Museum, Ellesmere Port. 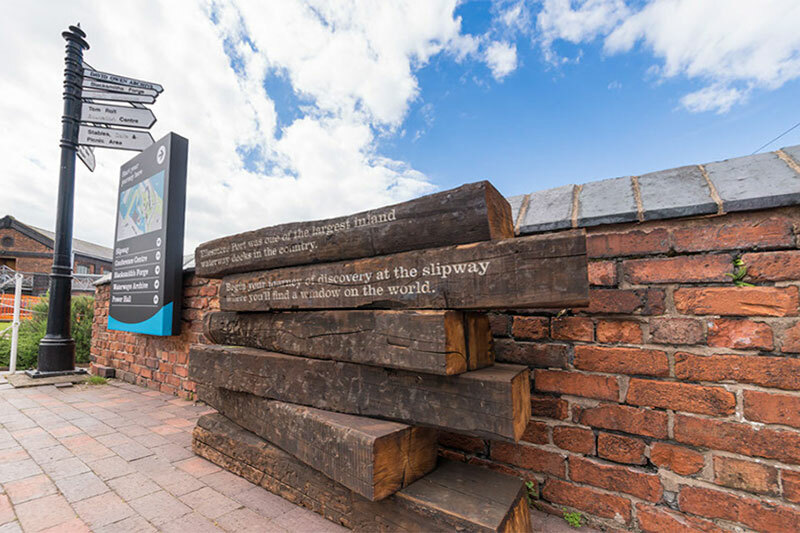 This historically important museum, designed by the great civil engineer Thomas Telford, has recently seen a resurgence in visitor numbers and now, as part of an extensive restoration programme, merited a high quality signage scheme. Based on the client's artwork working construction drawings and costs were prepared and submitted. After several revisions and additions to the order the package was resubmitted. Approval from the Canal and River Trust soon followed. 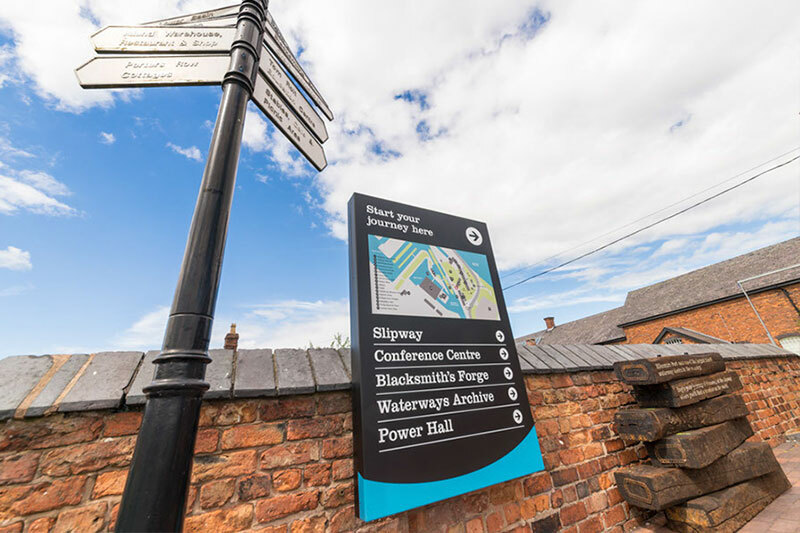 Most in-house resources were engaged in this eclectic assemblage of signs, which included wayfinding trays, interpretation panels, site maps and graphics, and even engraved railway sleepers. Several items had integrated smartphone capabilities which meant liasing with the software company. 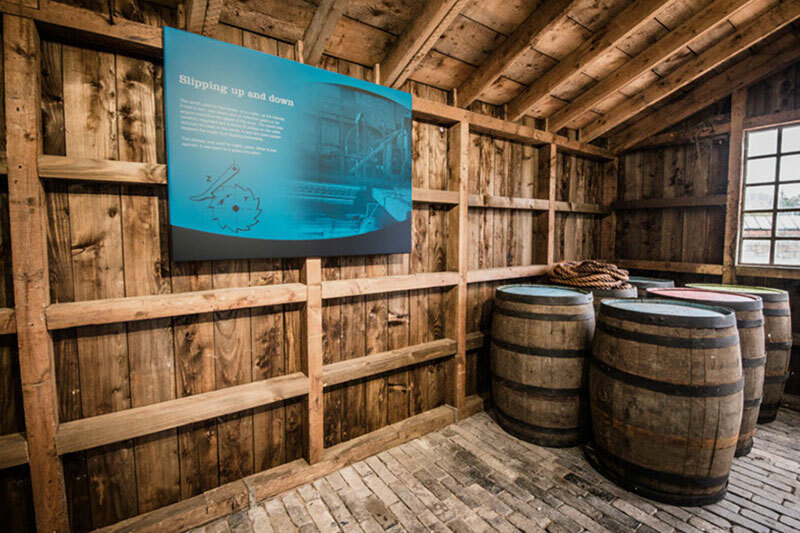 Settings for the signs were varied - supports on a pair of the signs are connected to the superstructure that cradles a 140-year-old rare historic vessel, so careful consideration had to be given to the design of fixings. 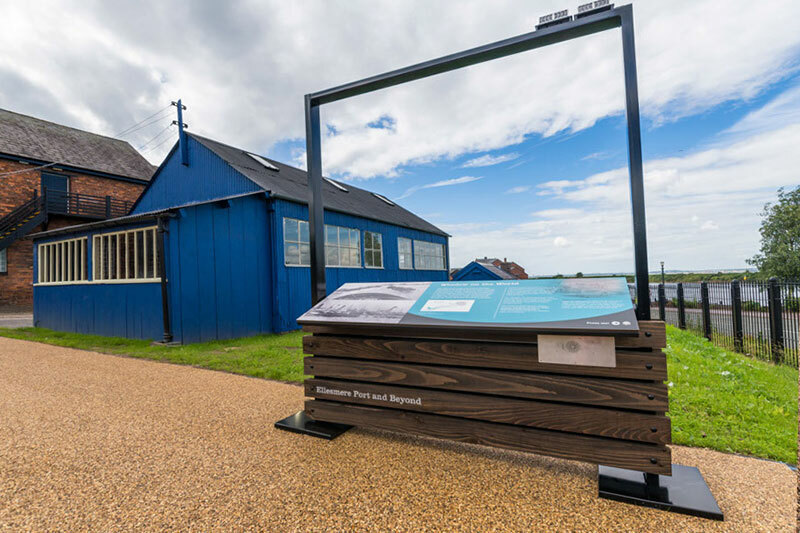 Because the restoration of the museum was carried out largely by volunteers it meant that exact dates for installation could not be programmed. The fixing schedule needed to be flexible and in several installments. 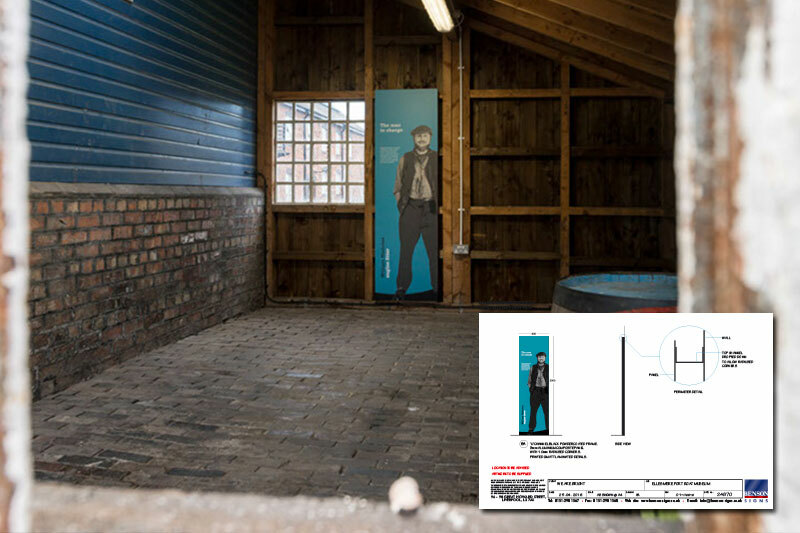 Furthermore, exact positions for some of the signs could not be finalised until our fixing teams were on site. 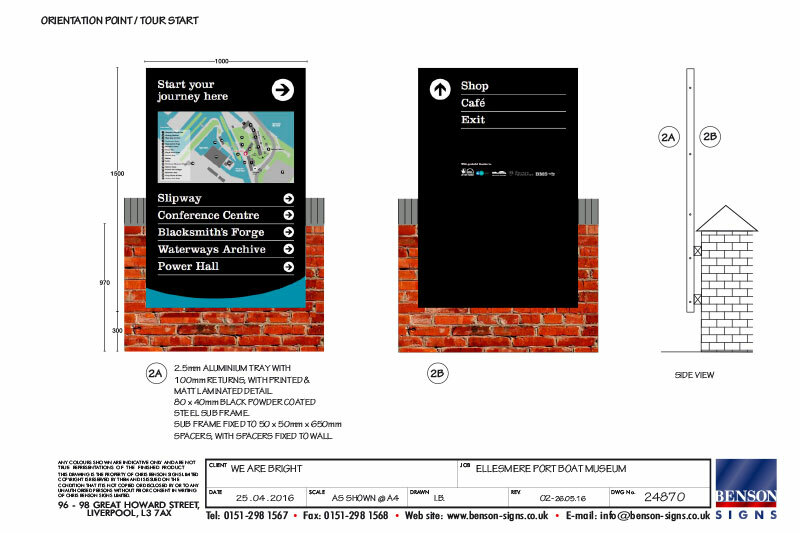 This was all in a days work for Benson Signs and any last minute schedule changes were comfortably accommodated. The project was delivered on budget and on time to a thoroughly satisfied client. 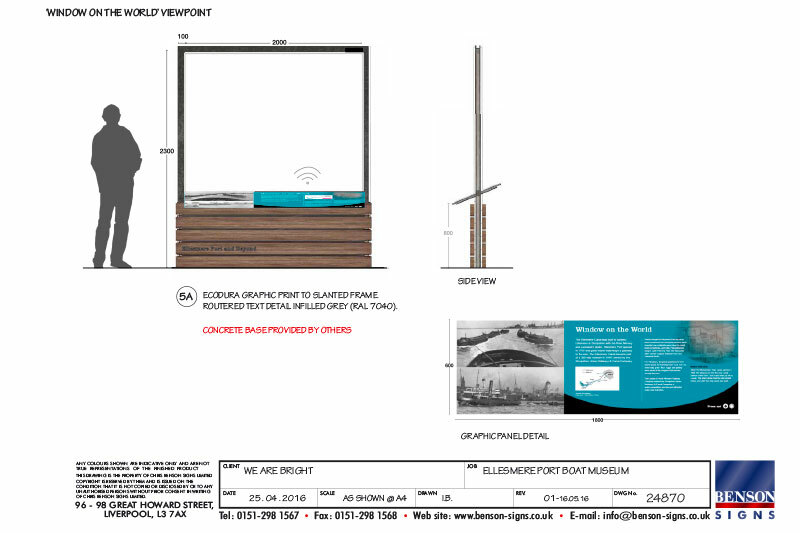 Boat Museum Signage in Position.